Innocent Drinks, the smoothies and juice brand, has created what it's calling the "world's littlest juice bar" in Dublin. The brand is using the activation to launch its Super Juice range, which is made up of fruits and vegetables. The varities on offer are Wonder Green, which has apple, pear, cucumber and ginger; Super Juice with raspberry and cherries with goji berries; and Super Juice with oranges and blood oranges with acerola cherries. 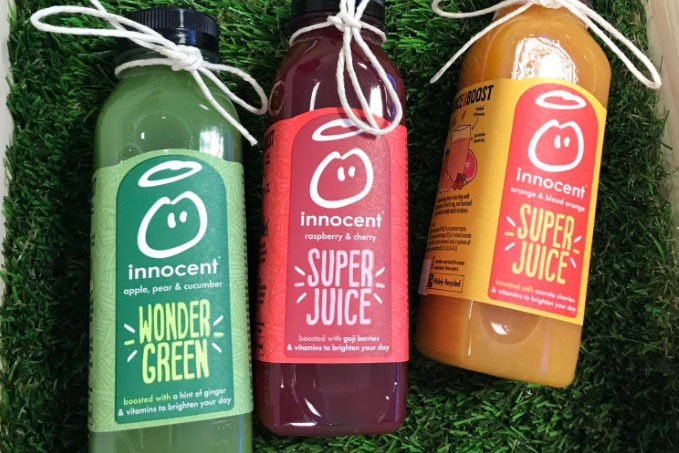 Johanne Lorge, marketing manager at Innocent Drinks Ireland, said: "We have been making smoothies and juice for 18 years now, and are always looking for new ways to give drinkers more of what they need. "The blend of fruits, veg and vitamins means that Innocent super juice is packed full of nutrients and good stuff. Our littlest juice bar shows that you can get a lot of goodness from a little bottle. Innocent super juice is here to help you see the brighter side of those mundane mornings." The pop-up is running from today until 1 February.